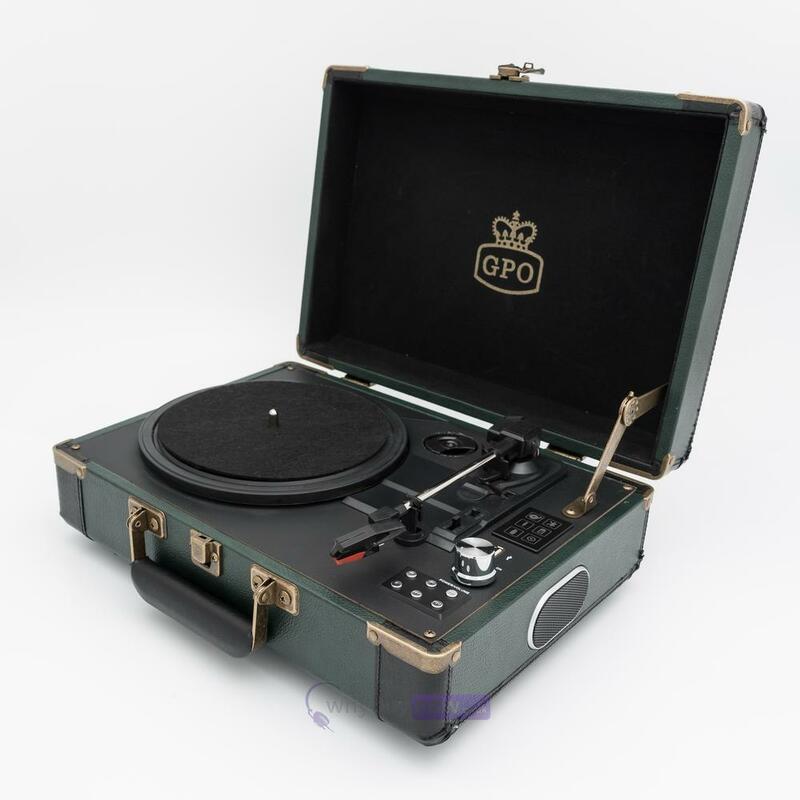 The GPO Ambassador is a portable briefcase style record player which features a three speed turntable, auto stop function and built-in stereo speakers. 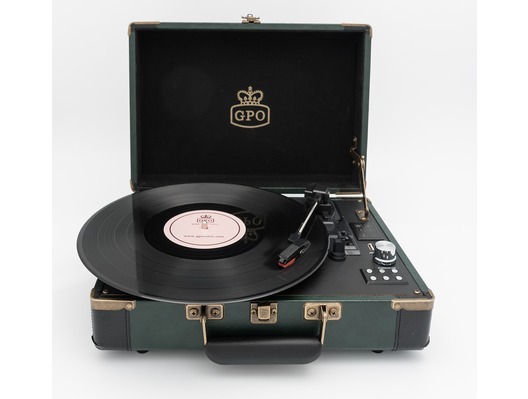 This record player has been designed to make it easier to play music wherever you are, with Bluetooth wireless streaming and a rechargeable battery. 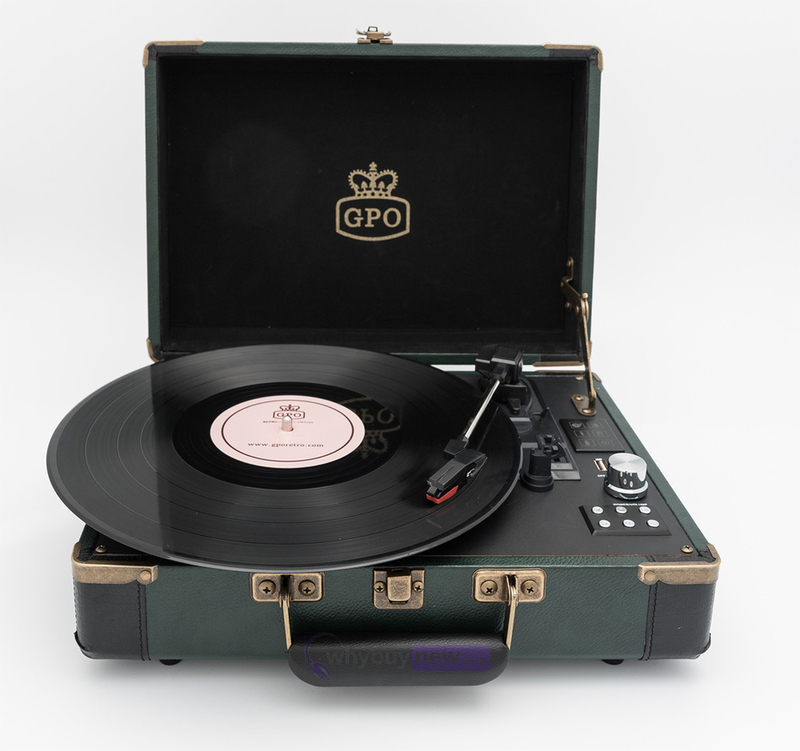 You can also record your vinyl to the supplied USB stick. 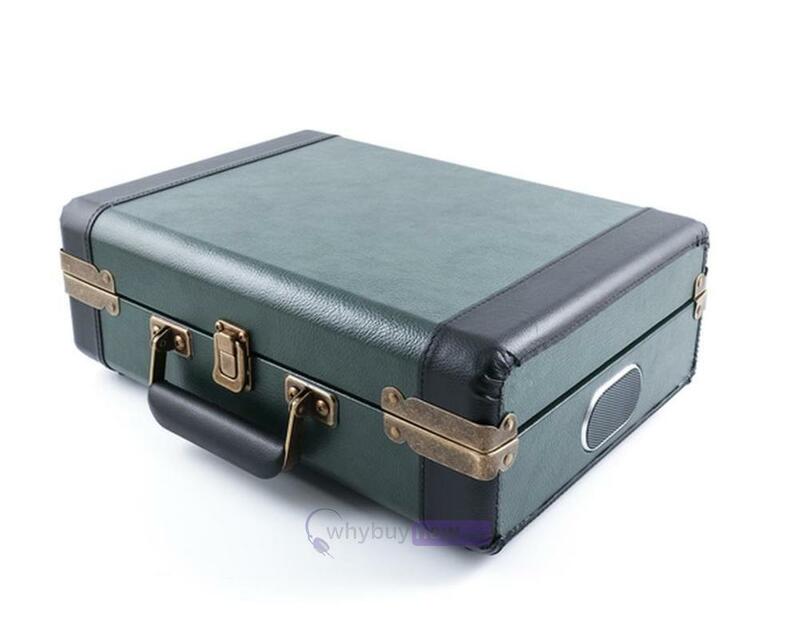 The Ambassador has a classic finish with leatherette binding and brass-styled corner protectors and is available in Green and Black or Cream and Tan.